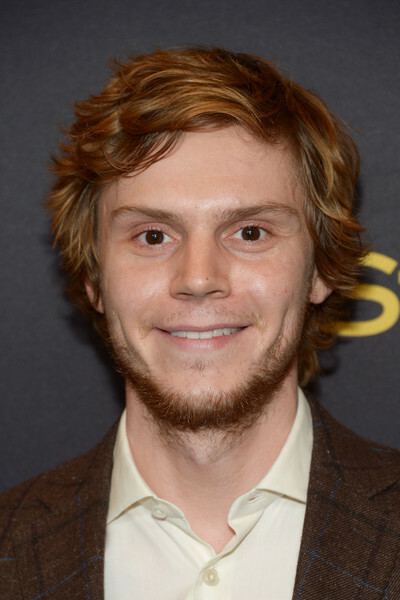 Evan Peters Horror and so much more. My first exposure to Evan Peters was the first season of American Horror Story. From that point forward, he has slowly become an actor that I seek out. Someone that I want to see in more movies and TV shows. I don’t know that he has reached Vince Vaughn status yet, but he is close. American Horror Story: Murder House – Ghost Evan Peters kept me hooked on this show and started me down the road to binge-ing the series when they drop on Netflix each year. Again, this was the first time that I remember seeing Peters in anything and he made a fast impression on me. American Horror Story: Freak Show – This is still my favorite season of AHS. I have always had a soft spot when it comes to the side show and this season pushed all of my buttons in just the right way. Peters doing an homage to Lobster Boy was just the icing on the cake. American Horror Story: Cult – I have not watched this season yet, completely intrigued by the fact that Peters is playing all of the cult leaders, and I cannot wait to binge the crap out of it. X-Men: Days of Future Past – Though I am not a huge fan of this movie or of the current take on the X-Men franchise – I :LOVED quicksilver in this movie. The way that Peters let Quicksilver have an almost detached way of looking at the world, nailed the character perfectly. I think it’s harder to go from comedy to drama than from drama to comedy. Seeing you dramatic all the time, they crave to see you be silly or funny. But, Seeing you in comedy all the time, it’s hard to see that person go be serious, for some reason.